A last hurrah for your companions. 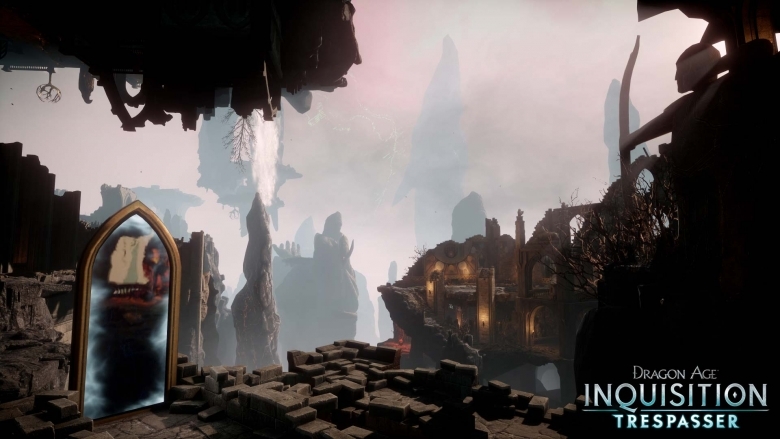 One of the prominent themes in Dragon Age: Inquisition is that of power and consequences. It’s emphasised throughout the game that the decisions you make as leader of the Inquisition will have far-reaching consequences for Thedas and while it’s clear that an organisation like the Inquisiton is exactly what Thedas needs to deal the threat of Corypheus, the question remains throughout the game- what happens to the Inquisition when its purpose is fulfilled? Throughout the game, this presents something of a tension. It’s grudgingly acknowledged that the actions you take as you seek to end a threat the scope none fully appreciate are necessary, but as you do so the Inquisition establishes presence and alliances throughout the land, all while being a fledgling organisation with no clear ties to any power but itself. You’re frequently warned that decisions await regarding this in the future. Trespasser begins with the realisation of this tension; in the time since you saved the world, the Inquisition has continued with its mission to “restore order”, maintaining its forces and presence across Thedas and Ferelden and Orlais have made it clear this cannot stand: your presence is requested at an Exalted Council, where you must either defend the Inquisiton’s continued existence or decide that its mission is complete and perhaps disband it. BioWare has stated that Trespasser is both the last of Inquisition’s and that it wraps up the storyline. This is indicated in a warning before you start the adventure: all other areas become locked off and the plot fast forwards two years. The meaning is clear: this is the end of Dragon Age: Inquisition. It’s at once a rallying call to look to the future, and Inquisition’s swan song. Unsurprisingly, nostalgia and farewell are writ large in Trespasser. Before you launch into its main storyline, one of your (optional, technically) missions is to reconnect with your companions from the Inquisition, all of whom have kept themselves busy in various ways in the past two years. Your choices and relationships with the characters are reflected in these interactions, and there’s a “the gang reunites” vibe for players and characters both. A nice touch is the ability to ask party members for comments as you forge through the game’s story, further developing the sense of a last hurrah. The story itself is excellent. While you begin it mired in politics, that doesn’t remain the case for long as a new threat makes itself suddenly, jarringly clear. The Qunari’s return has been teased as coming in Trespasser and they soon supplant the Exalted Council on your list of priorities- much to the displeasure of the politicians. You go through a series of breathtakingly beautiful locations as you pursue the threat- Trespasser isn’t an open-world adventure, but rather a single, continuous storyline and you visit fascinating places over the course of that story. It becomes rapidly apparent that the stakes are far higher than you could imagine when you first start out. Things are mysterious from the beginning and only get more so the more you find out. Trespasser’s plot has incredible implications for both Thedas’ past and future, and contains an absolutely fascinating amount of lore to be discovered. I won’t spoil the end but while it’s possible to see the climax coming, what’s revealed during it isn’t. You must make one final decision on the Inquisition’s ultimate future in its aftermath, and it’s no easy decision to make. Unfortunately, the epilogue is somewhat disappointing in its presentation. The text is small and the slides pass by too quickly- I found myself squinting hard to puzzle out the first part of a slide only to suddenly find the next in front of me. Combat is largely business as usual. 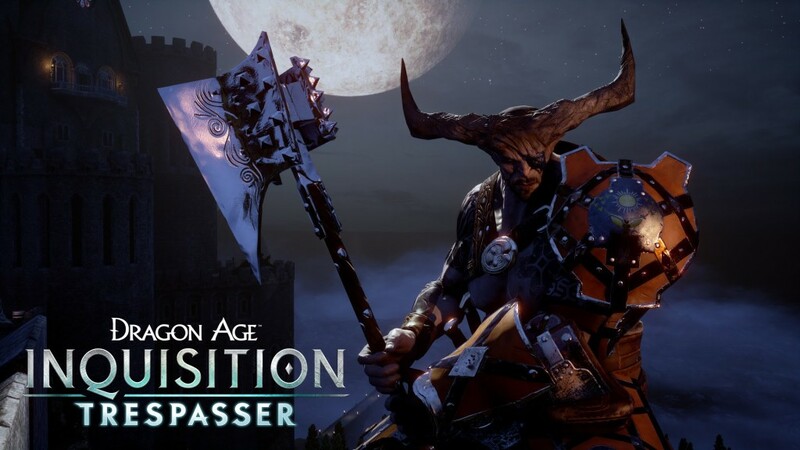 It’s only recommended that players level 20 and over embark on Trespasser, but as you can only start it once you’ve finished with the main plot and most players will have swept Thedas up in their wake, that’s unlikely to be an issue. As befits DLC specifically designed to be played post-game, the fights are pretty tough across the board. Most won’t present a serious obstacle but for a few notable encounters- one is particularly frustrating. Of the two bosses, you have the choice to fight or save one. But it isn’t immediately obvious how to do the latter- especially since in the meantime you’re under constant attack with your party launching themselves into the thick of things. The other boss is mostly just irritating. The fight is mostly reduced to throwing everything you’ve got against a health bar roughly the width of Thedas itself and there’s no compelling reason for it to be a boss that I could see. However, in the context of the whole these are pretty minor gripes. It’s a fitting send off for the companions you spent so much time with in Inquisition- your time with them is satisfying and well developed. The revelations contained in it promise huge consequences for the lore of the world; mysteries that have persisted throughout the series are touched on here intriguingly and it’s anyone’s guess what they mean for the future. In short, Trespasser is a must play for any fan of the series- as a close to the events of Inquisition it serves wonderfully, and felt like a satisfying way to say farewell to Inquisition’s world. Breathtaking areas to explore.A wealth of fascinating lore.Great score. The bosses don't live up to the quality of the plot.The combat remains fairly standard. Annemarie can run faster than a leopard and fight better than a krogan but still isn't better than Commander Shepard. 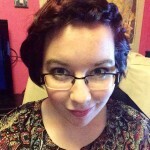 Instead she writes stuff about games.